Mix all ingredients together, including malty tea and pour into tin. Bake for 1 1/4 - 1 1/2 hours. Stand for 10 min before slicing. 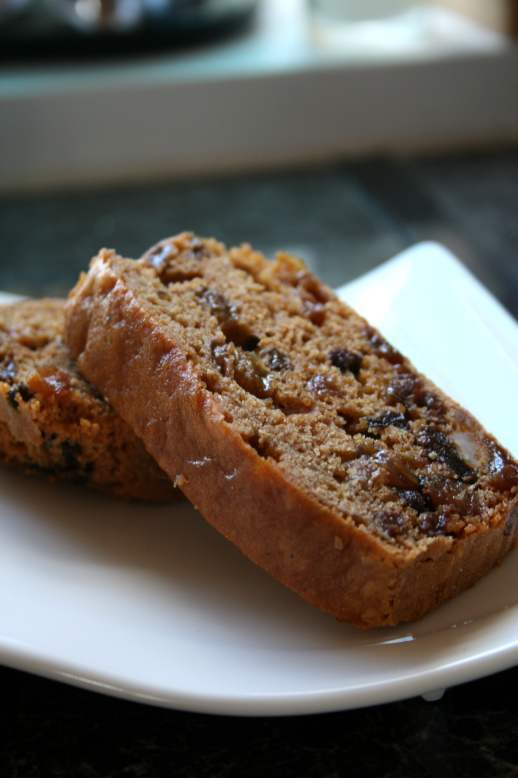 hello – i have been on a quest for ‘the’ malt loaf recipe and whilst this one doesn’t produce the exact same squidyness it is still fantastic and tastes very similar. i think my quest is over and i will stick with this one from now on – thanks! Hi Joanne, I’m glad you like the recipe. I must make this again soon. Hi. The last(and I’ve got to say the first) time I baked a malt loaf I baked it at 180°C for an hour and it was seriously burnt on top. I see that you bake yours at only 140°C but for significantly longer. I trust it is baked all the way through and there is no need to cover with tin foil towards the end? I’ve never had a problem baking this malt loaf at the temperature and it doesn’t need to be covered in foil.